Eliminate disruptions that prevent employee access to resources. The manual work that has traditionally been required to roll out new applications often leads to delayed project timelines and inability to adopt the best-of-breed cloud apps that end-users need to do their best work. Choose pre-integrated apps and delegate access decisions, freeing up time to work on more strategic projects. As companies grow, there’s an increasing number of manual tasks to perform throughout each employee's lifecycle. These tasks take up time and are prone to error, slowing down end user access to accounts and applications. Automate repeatable tasks and create a self-service experience for end users to increase agility. As employees, partners, and contractors join, move, or leave the company, keeping everything in sync becomes a tedious ongoing task with multiple stakeholders involved. If every user has multiple profiles in multiple apps and directories, it can be challenging to manage user attributes and resolve issues when they arise. Remove complexity by managing all users from a central directory. Not knowing who has access to what can prevent cutting access to accounts after an employee has left the company and create security blindspots. This can lead to paying for more accounts than needed or, even worse, a costly data breach. Easily manage identity governance with entitlement reporting and comprehensive data in a user-friendly dashboard. 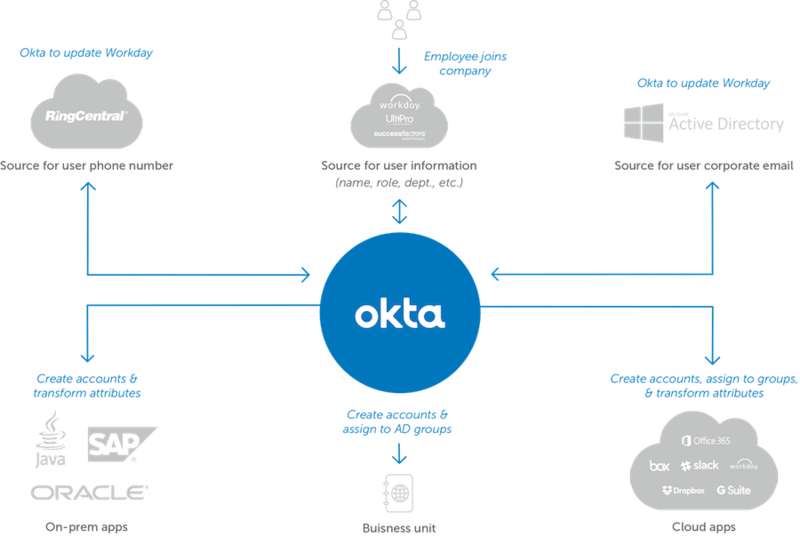 With 20 applications connected to Okta, Vivint Solar has seen a 95% reduction in password reset requests and a 100% improvement in connector maintenance. Now all AD accounts are automatically created, saving over 150 hours of manual work.